In a large bowl, combine flours, sugar, salt, baking soda, baking powder and cinnamon. 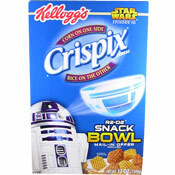 In another bowl, combine remaining ingredients. Add liquid mixture to the dry ingredients, stirring well. 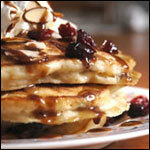 Drop by 1/4 cupfuls onto a 340 degree griddle. 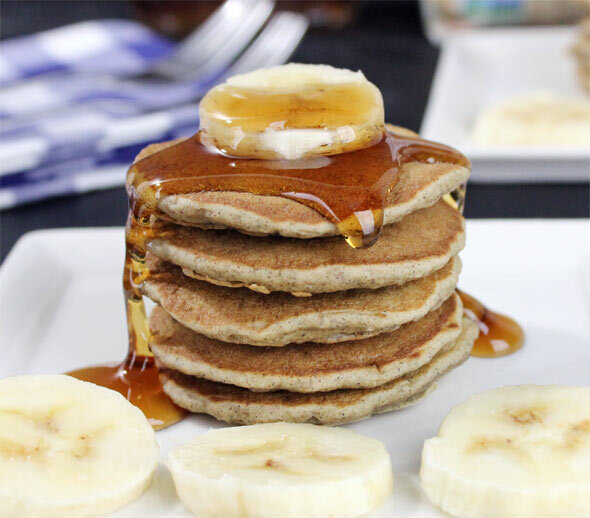 Top with butter and maple syrup or a 50/50 mix of cinnamon and sugar with sliced bananas. 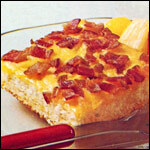 This recipe works best with over-ripe bananas. 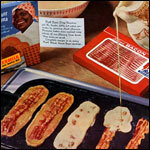 The browner the skin... the sweeter the fruit... which equals more flavor in the pancakes. You can replace the whole-wheat flour with additional all-purpose flour if desired. 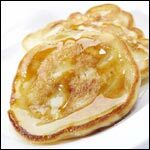 The buttermilk can be replaced with regular milk, but you'll loose the signature flavor of buttermilk (think of buttermilk donuts) which is somewhat noticeable if you follow the recipe exactly. Not just a pancake, this is a banana adventure! 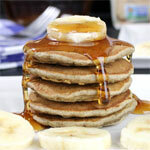 The distinct flavors buttermilk, buckwheat flour and bananas combine to make these pancakes top notch. 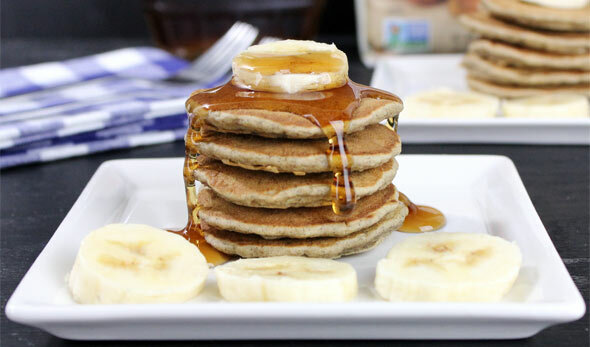 What do you think of Banana Buttermilk Buckwheat Pancakes? Pretty good! 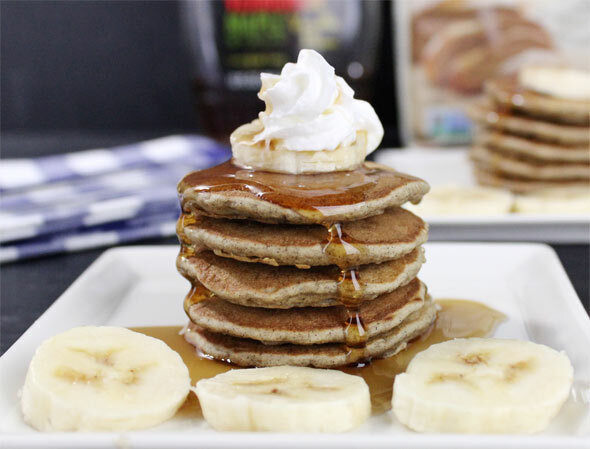 A good way to use up ripe bananas. The pancakes were terrific. I highly recommend them!!! !